The West Kowloon Cultural District Authority (WKCDA) celebrated the completion of M+ Pavilion, the first permanent venue for exhibitions and arts events in the West Kowloon Cultural District, marking a significant milestone in the development of the art hub. At the dedication ceremony, Mrs Carrie Lam, Chairman of the WKCDA Board, was joined by Mr Duncan Pescod, Chief Executive Officer (CEO) of WKCDA; Ms Suhanya Raffel, Executive Director of M+ designate; Mr Doryun Chong, Deputy Director, Chief Curator and Acting Director of M+, and Mr Vincent Pang, Managing Director of VPANG Architects Ltd., to cut the ribbon to commemorate this historic moment. “WKCD is a long-term strategic investment by the Hong Kong SAR Government to promote the development of art and creative industries, meet the growing cultural needs of the public, attract and nurture artistic talents, and strengthen Hong Kong’s position as an international art and cultural metropolis. Such a vision and commitment is something that should make us proud,” added Mrs Lam. Mr Pescod expressed his gratitude for the concerted efforts by various parties – in particular members of the M+ board, WKCDA and M+ staff, architects, designers, and contractors, in realising the M+ Pavilion. 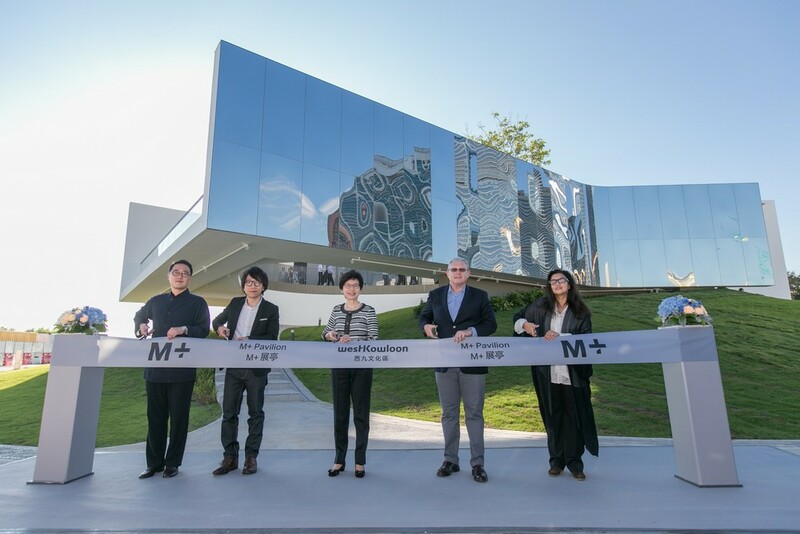 “The dedication of M+ Pavilion is a small yet important step. This is a clear statement that we are going to deliver this ambitious project for the people of Hong Kong. 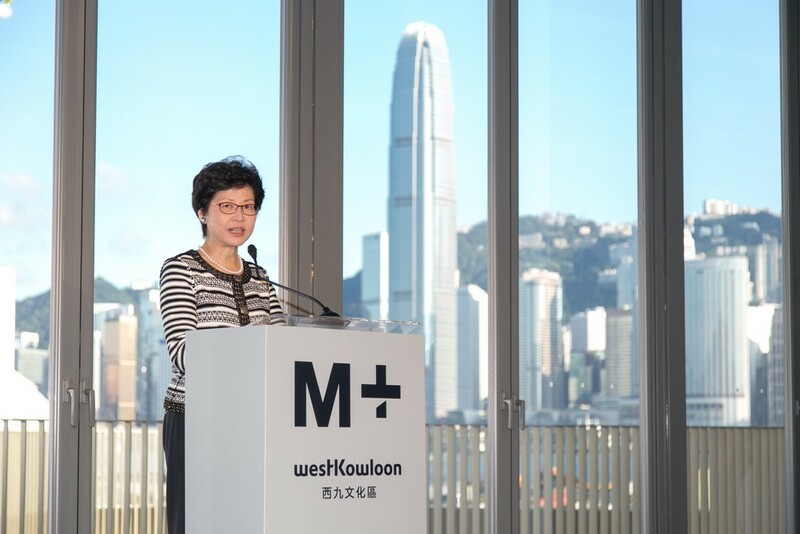 Surrounded as it is by the construction of the Art Park, the M+ building and the excavation works for the Lyric Theatre Complex basement, it is clear for everyone to see that WKCD project as a whole is firmly underway.” said Mr Pescod at the event on 22 July 2016, Hong Kong. The M+ Pavilion is designed by a team of three Hong Kong-born, young and energetic architects: Vincent Pang from VPANG architects ltd, Tynnon Chow from JET Architecture Inc and Lisa Cheung. 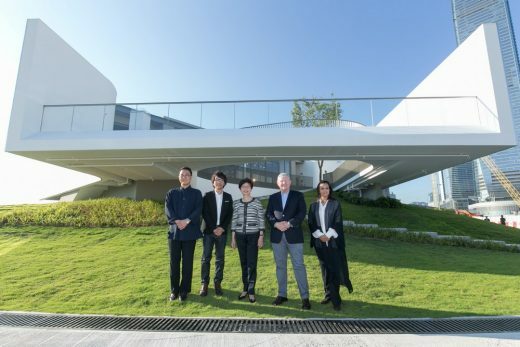 After they won the first prize in the international design competition for the Pavilion, they have been appointed to work with the WKCDA to design and bring to fruition the Pavilion which will provide a flexible space to stage small-scale exhibitions and events. 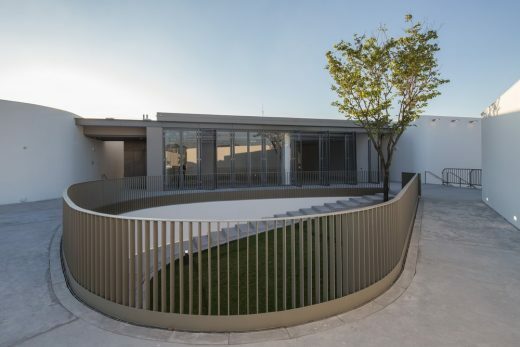 Located within the Art Park amid public space, the M+ Pavilion is designed to offer a respite from hectic city life with a smart simplistic approach that allows it to blend into its environment. 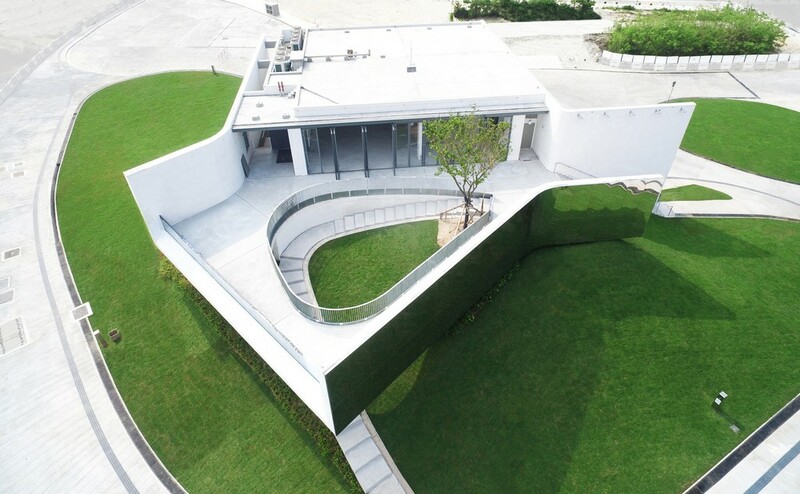 Mirrored external walls reflect the surrounding expanses of greenery and immerse the building in the Art Park setting. 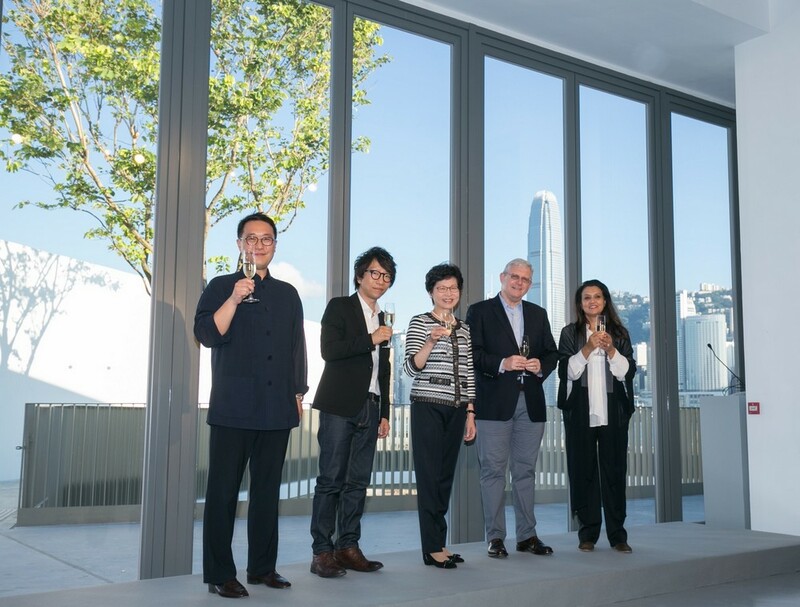 To further this experience, the Pavilion’s main exhibition space is elevated, allowing it to float above the foliage, creating the opportunity for artwork to be appreciated against a backdrop of the unparalleled Hong Kong Island skyline with spectacular views of Victoria Harbour. 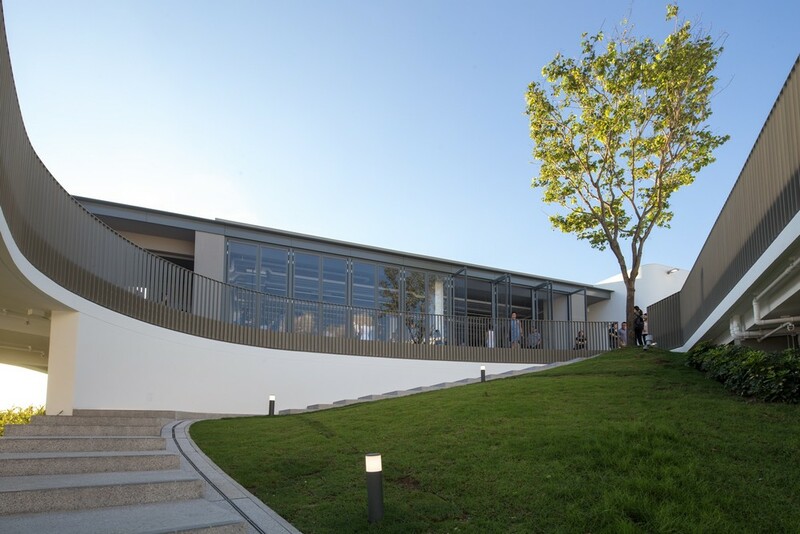 Inside, the gallery space feature polished concrete floors and white walls – a flexible backdrop for multidisciplinary art exhibitions and performances. 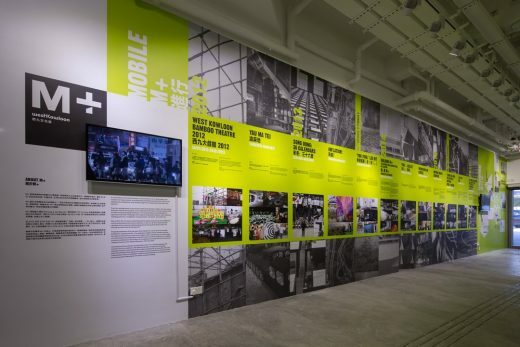 Apart from building hardware, M+ has already organised an array of exhibitions and public programmes including the well-received “Mobile M+: Live Art”, “M+ Sigg Collection Exhibition” and “M+ Rover”, to name just a few. M+ is also fully committed to teaching and nurturing the younger generation through docent volunteer programmes and regular internship schemes. 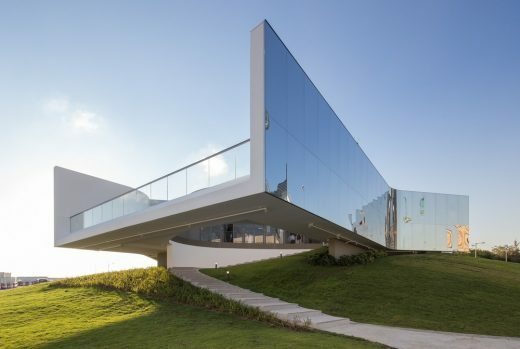 In the run-up to the opening of M+ in 2019, the Pavilion will host a series of thematic exhibitions displaying selections from the M+ Collection encompassing the three main areas of visual art, design and architecture, and moving image for public viewing. The inaugural exhibition in September will be Tsang Kin-Wah: Nothing, a new commission by the Hong Kong artist following his critically acclaimed exhibition The Infinite Nothing, which represented Hong Kong at the 56th Venice Biennale in 2015. Other thematic exhibitions that follow will highlight M+’s growing design collection and present a project on Hong Kong popular culture. After the opening of the main M+ building where the museum will be housed, the Pavilion will be available for Hong Kong’s vibrant creative communities ― artists, designers, architects, and other organisations to stage exhibitions and events. 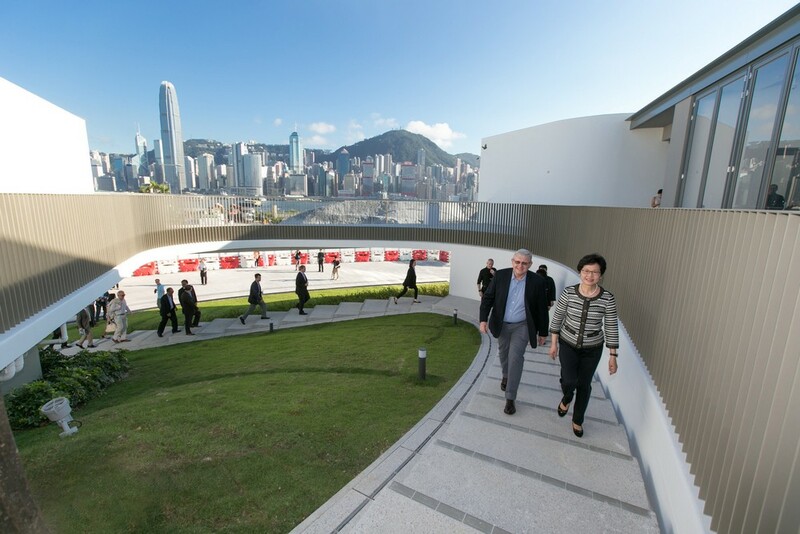 Hong Kong’s museum for visual culture – encompassing twentieth and twenty-first century art, design and architecture, and moving image from Hong Kong, China, Asia, and beyond – M+ will be one of the largest museums of modern and contemporary visual culture in the world. 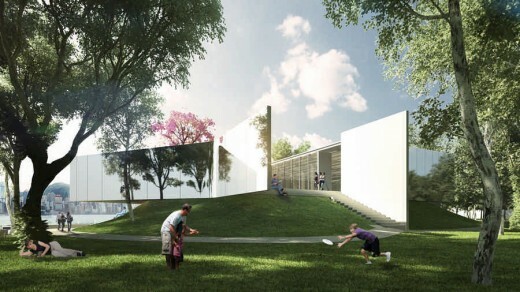 Located adjacent to the park on the waterfront, the museum building is scheduled to open in 2019. 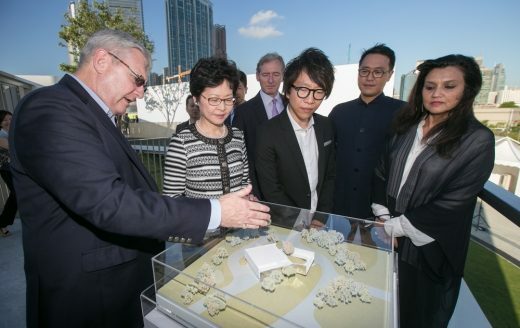 The West Kowloon Cultural District Authority (WKCDA) have announced that VPANG architects ltd + JET Architecture Inc + Lisa Cheung, have been appointed to design the Arts Pavilion in the West Kowloon Cultural District, after achieving first prize in a single stage international design competition.